SHARE Button: Use the SHARE button to upload your gameplay videos and pictures on social networks. Stream live gameplay to Twitch, YouTube and Dailymotion or edit your recorded gameplay videos and share them on Facebook and Twitter. Touch Pad: Guide, gesture and draw with the responsive touch pad – now restyled so you can see your light bar colour from above as you play. Built-in Speaker and Stereo Headset Jack: Enjoy extra sound effects – straight from the controller – and chat with online friends via a headset, such as the stereo headset included with the PS4™ system. 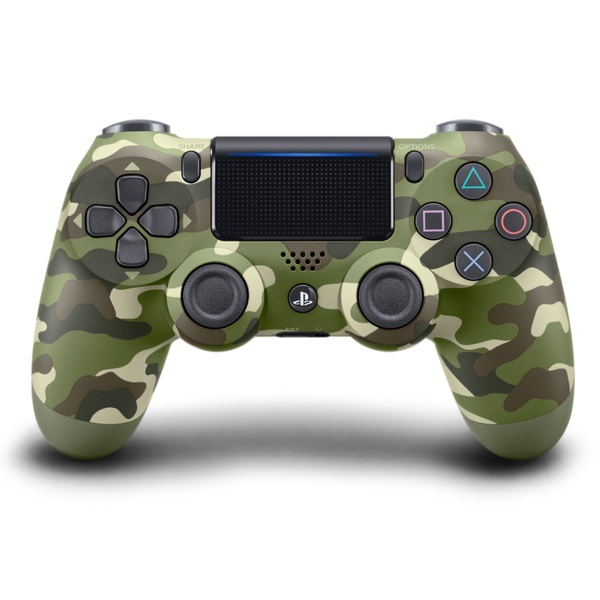 The DUALSHOCK®4 wireless controller defines the new generation of play, combining revolutionary features with an intuitive design and precise controls. The new model features a stylish matt finish, shows your light bar from above and allows you to communicate data with your PS4™ via USB cable. You can also use your controller with compatible applications on Windows®PC/Mac – connect via USB cable or with Bluetooth® using the DUALSHOCK®4 USB wireless adaptor.